Do you ever wake up feeling overwhelmed by the long list of things you need to accomplish each day? Or perhaps go to bed each night feeling stressed and exhausted by all that is on your plate? 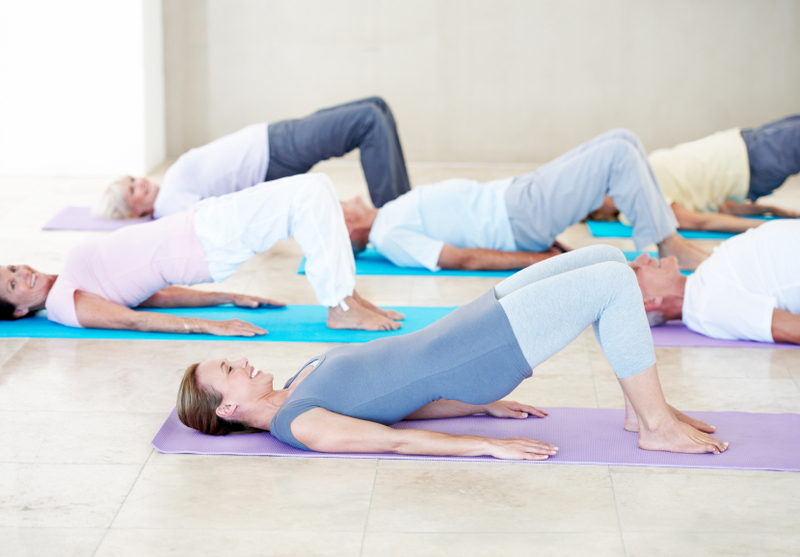 Pilates may be just the thing you need to restore your sense of well-being. This mind-body form of exercise is proven not only to build strength, improve flexibility and restore proper alignment, but also to reduce stress and contribute to a healthier mental and emotional state of mind. Slowing down in today’s uber-connected world is no small feat. We are constantly met with distractions, urgent requests, updates and information. Our attention is often pulled in a variety of different directions, making it hard to focus and maintain a sense of peace and calm. Practising Pilates requires that you slow down and focus solely on your body and the movement at hand. Doing so improves your concentration and provides a chance for you to focus on the present moment rather than the stressors that come your way each day. Learning to breathe deeply and intentionally creates a relaxation response in the body. Breathing deeply slows your heart rate, relaxes your muscles and decreases blood pressure. In addition, deep breathing increases the supply of oxygen to the brain, which triggers the release of feel-good hormones in your body to help you naturally overcome stress and anxiety. The Pilates method is a very mindful form of exercise. Rather than blasting through high-intensity exercises just to ‘feel the burn’, you focus on each movement with intention and awareness. Learning the skill of mindfulness can have a significant impact in your day-to-day life. Learning to be mindful helps you to focus, stay present and manage seemingly ‘stressful’ situations with more ease. For those who struggle with traditional meditation, Pilates may be a good alternative. The mindful movement can provide similar benefits of meditation while keeping the body active. We all know that exercise is a great way to reduce stress but incorporating Pilates into your routine can take it to the next level. If you find yourself feeling anxious or overwhelmed, give Pilates a try. You’ve got nothing to lose and it just may change your life! Robin Long is a certified Pilates instructor. Her website, thebalancedlifeonline.com, is a resource for women who are searching for balance in their quest for health and fitness. She provides a variety of healthy-living resources along with quick, daily Pilates videos to help busy women stay healthy, fit and happy. Thanks to Patient.info who have provided this article. View the original here. I have been doing Pilates for about 6 months. I feel stronger, easier to get up from floor! (I am 63). I initially went with my hubby as he has Parkinson Disease and this is something they recommend but its benefited me too. I have been doing Pilatees for 20years and I cannot recommend it highly enough. If you have an expert teacher who will give varying degrees of ability, give alternative excersise for painful knees and warn you if a movement is not recommended for a bad back. My instructor is excellent. I feel taller and more aligned after the excersise. My joints are more flexible. I am 67 years old. It should be taught in senior schools to promote good posture and support through a firm core.